He sculpted it! That's right, he sculpted the entire model from scratch using a classic piece of artwork of the mysterious Incubi master as inspiration. 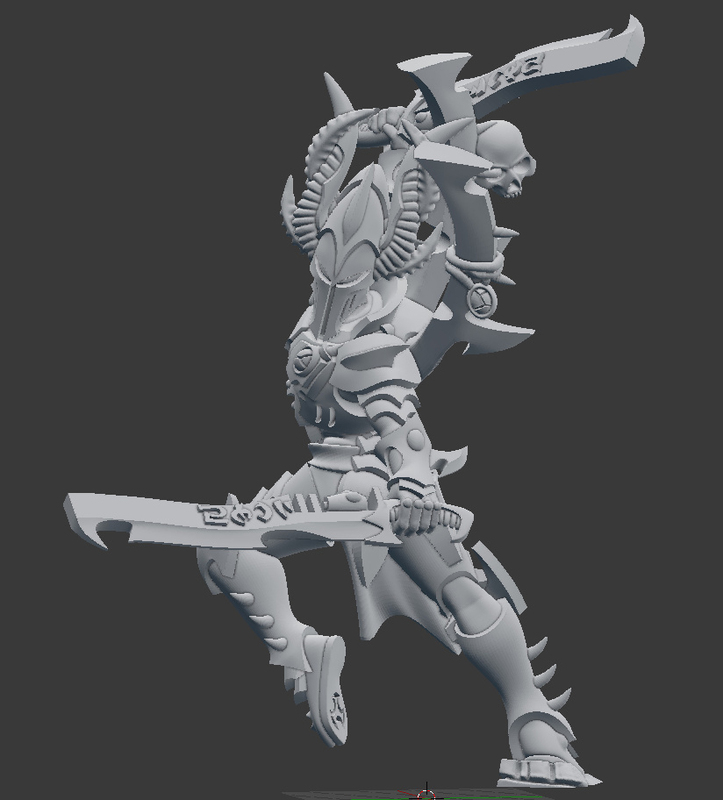 This was a digital sculpt and then he had it printed through Shapeways. I think it's safe to say he's pretty good at sculpting. The mini is so dynamic and flawless. I'm sure the amazing paint job is helping show it off in the best light possible, but it's still a great sculpt at the end of the day. 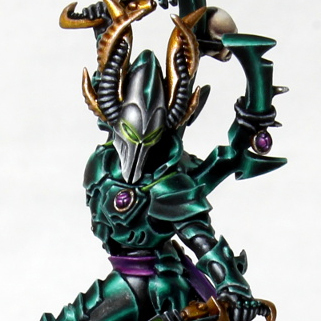 I would have thought this was a GW model were it not for some of the stockiness on certain areas like his horns which I'm sure are a byproduct of the 3D printing process. You have to make things a little more sturdy than normal. All around this is an amazing model, both the scratch sculpt and the paint job. I highly recommend you check out the rest of the angles and views on Gareth's website. 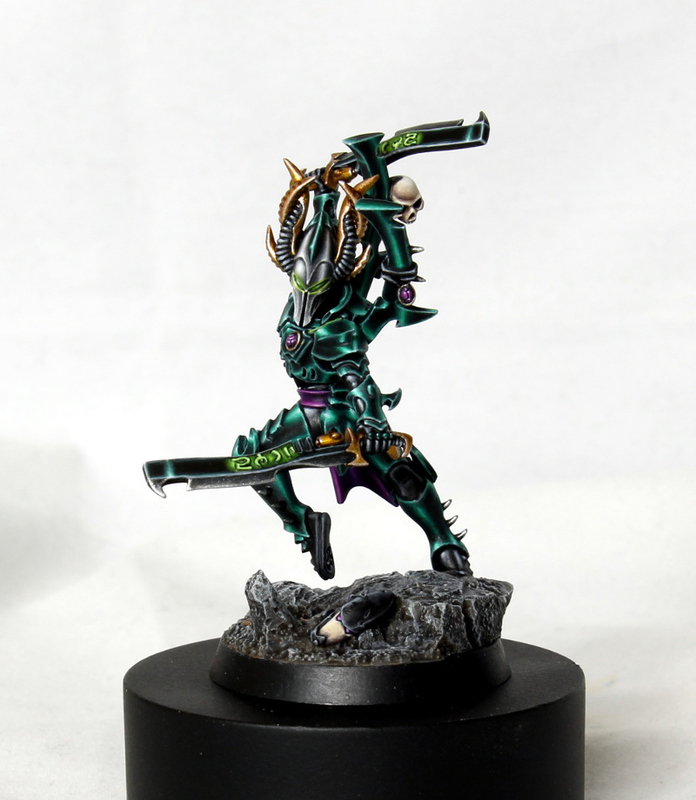 Be sure to check out more views of the model on Gareth Nicholas' blog and show the artist some love if you like it.